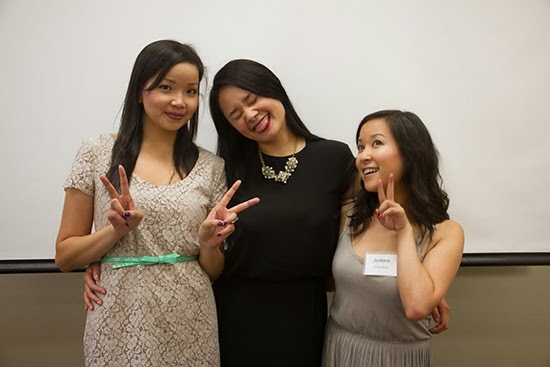 After weeks of planning and stressing, late nights and last minute meetings, the mini-conference/event Sheila, MizzJ, and I thought up in order for Vancouver fashion and beauty bloggers to connect finally came to life. Blog and the (Van)City was an amazing success, with over 20 local bloggers and 6 industry professionals meeting to share their experiences and learn from each other. At the heart of the event was a Q&A session that allowed attendees to ask the questions they've always wanted to ask to our panel of bloggers and PR pros, comprised of Brandi Halls, Director of LUSH North America PR; Cynnamon Schreinert, PR/media relations professional; Sarah Murray, Agency Director of Fashion Capsule; Alison of alison*elle; and our very own MizzJ of Just J. It was an incredibly insightful experience to hear our professionals' candid views on the role of bloggers and how they prefer to work with them, as well as hearing how other bloggers manage their time and deal with PR. I was really happy that each question generated a mini-discussion where everybody was able to contribute their thoughts. I was surprised but loved seeing attendees busily writing down pointers from the Q&A discussion--it means they were really learning something new! It's okay to post a negative review even on product sent for consideration, as long as it is constructive. Good PR understands you won't always love everything. Twitter is important. Really, really important. More important than Instagram, Facebook, or any other social media aside from your blog. Some brands may be hesitant to work with bloggers that do not have a Twitter account. It's very difficult to keep an active blog while maintaining professional and personal responsibilities. If you're struggling to keep up (o hi), try setting aside a few hours one day a week to work on a couple posts at a time. 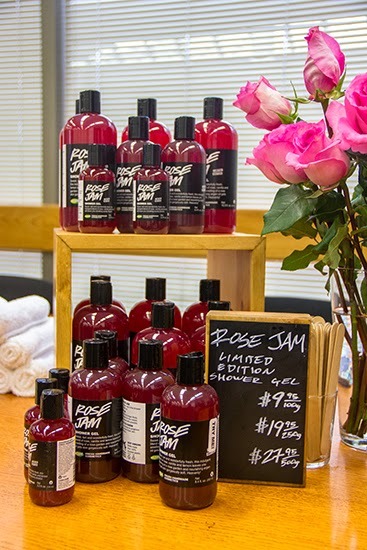 We also got the chance to preview the limited edition Rose Jam shower gel from LUSH (now in stores! ), which smells awesome and you should get it before it's gone and you regret your life decisions. 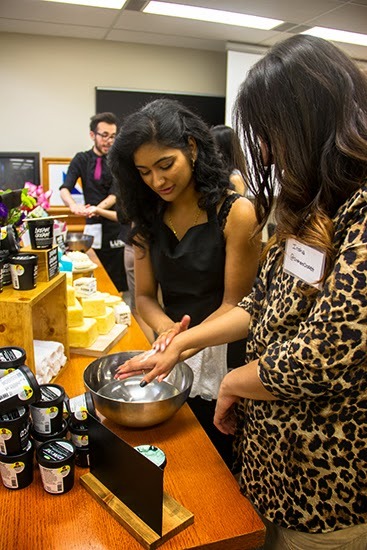 We were also treated to hand massages and lots of LUSH eye candy from the super sweet people at LUSH Metropolis at Metrotown. At the very end, feeling awesome about pulling it off! I am incredibly proud of what Sheila, J, and I were able to create together and excited about what we can do in the future! I couldn't imagine doing this with anybody else. I am a bit sad that I was so busy running around/doing things in the background that I hardly got to chat with anybody! This was our first-ever sorta-formal event and I am sure I will get a chance to meet everyone properly at our next event. Check out the #blogvancity tag on Instagram and Twitter for more about Blog and the (Van)City, and stay up to date with what we're up to through Facebook and our blog. 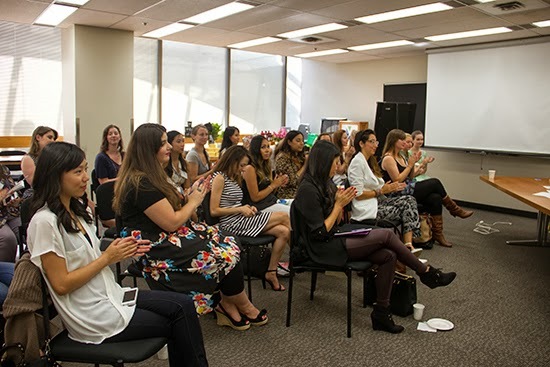 Thank you to our venue sponsor Metropolis at Metrotown for hosting us, and our product sponsors LUSH, Revlon, Marcelle, Annabelle, Almay, Nail Polish Canada, and Jukebox Print! 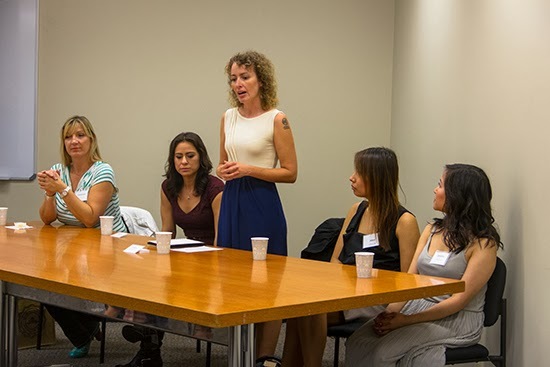 Thank you to Mimi Dejené for photographing our event!